Melissa McCarthy is a comedy genius known for her hilarious acting roles as an overweight, clumsy, witty middle-aged woman. In her new film that hits UK cinemas this May, she is exactly that – the life and soul of a party. 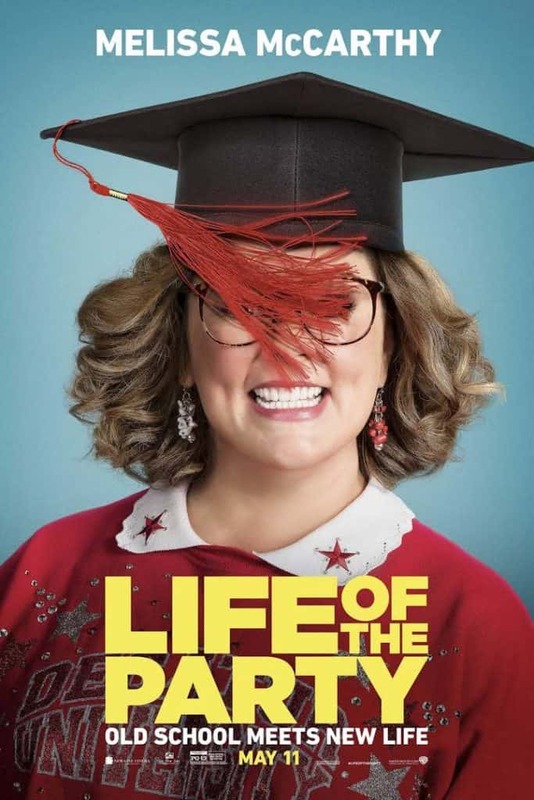 Starting out as a controlled house wife, newly-divorced Deanna (Melissa McCarthy) turns her wasted life of regret into the fun teen-hood she never lived. She heads back to college to earn a degree and lands in the same class as her daughter. Acting like the typical cool mum her daughter experiences major cringe, but she soon gets her head around it when everyone on campus loves Deanna. Embracing freedom and fun she is now a wild chick, getting it on with hot boys in public places and going hard at frat parties, she’s the coolest chick in school. Life of the Party will be released on May 11.